From the outside, PR may look like an easy-peasy job. After all, PR professionals talk to journalists, influencers, bloggers or potential partners for a living. They also work on fun projects to generate buzz around their brands and get to celebrate when their press release gets picked up by large publications. Not too stressful, right? But, from the inside, PR looks more like this. On top of that, they are managing and liaising many moving parts, making their job one of the most challenging there is in the era of social media. In other words, PR professionals need all the help they can get – when it comes to tools. 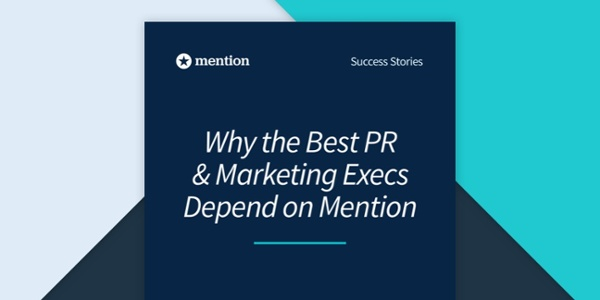 At Mention, we are very much aware of that – since many of our clients deal with these PR challenges everyday. We also manage our own PR so we know that it takes more than just sending press releases to get your brand out there. As we’re always trying to improve our PR processes and to be more efficient, this drove us to test many tools. In this post, we’ll explore our results and tell you about 18 of the very best tools you should try to take your PR to the next level. We’ll begin our list with time management and collaboration tools. Note that most of the tools listed in this blog post are free to try. Being organized is key to keeping your head above water when managing PR. They can help your team prioritize and manage multiple projects at the same time. Trello is a simple but powerful tool that makes it easy to organize your projects. Trello lets you create Boards(view boards as the big picture), in which you create Cards (or projects). Integrate checklists to keep track of the different steps of a project. You can also use it as a checklist, share it with co-workers to have an overview of a project, or share it with clients. Trello is a must-have to run and manage small projects. Now, to run larger, longer and more complex projects, you may want to think of a more sophisticated tool. Wrike is like Trello on steroids. It comes with very interesting project management features. It includes, among other things, Gantt Charts, a workload view, and a dedicated analytics tab to monitor the efficiency of your team. You can try Wrike for free for 14 days. Now, let’s see the 16 other tools you can try to boost your PR performance(and ease your day-to-day workload). Your PR content may be the best there is, but if it’s not optimized for SEO purposes, no one will read it past your social media push campaigns. Fortunately, tools exist to help us and improve our SEO ranking, via thorough keyword, market, and competitive analysis. I combined the presentation of these two tools since they cover the same areas. Who is sending them backlinks? Which keywords are they referenced to? Which keywords should they focus on in the future? These tools provides you with key insights to set a direction for your search engine strategy and your future communications. Ahrefs and SEMRush swiss army knives for PR and marketing professionals. They are not perfect, but they can strengthen the core of your online presence: your website. Next, I’ll talk about PR monitoring tools that help you stay in the know and get actionable data about your market as a whole. As I mentioned earlier, PR pros have more than one arrow in their bow. Understanding their market is one of them. As a PR professional, a significant part of your job is to reach out to journalists, influencers, bloggers and potential business partners. Yet, if you want them write back, you first need to know who they are, what they like, where they post, and etc. This is information you can only get using an advanced online monitoring tool like Mention. Everyday, 750 000 marketing and PR professionals use Mention to monitor their brand, products, and competition in real-time, both on traditional and social media. But don’t take my word for it. Instead, here are hundreds of user reviews to make your mind about Mention. You can try Mention for free here, or request for a demo if you’d like a personalized presentation of how the tool can help you kick your PR strategy. Now, listening is also about evaluating the type of contents your audience reacts to the most, something Buzzsumo does particularly well. “I love the ease of use and the immediate value I get from using the product. I can search for terms/phrases and identify content that’s performing well in a niche or with an audience. Likewise, I love how simple and compelling BuzzSumo’s data displays.”-Rand Fishkin, Founder of Moz. You can try Buzzsumo for free. Let’s take a quick step back from the digital world. In 2018, almost nothing happens without the Internet knowing about it. But if you have been doing PR for at least 10 years now, you must be very familiar with collecting press clippings. With most of the noise now happening online, a press clipping tool is not as essential as it used to be, but you need one if you want to keep track of what’s being said about your brand and market offline. For this, you have Kantar Media. Kantar Media is one of the most comprehensive press clipping tools there is. With Kantar Media, you get notified every time your brand appears in print, is mentioned on the radio or on TV. That being said, when online monitoring tools algorithms can report mentions in real-time, struggle free, press clipping requires human work. Which means it is quite expensive and does not notify you in real-time. In my experience, you can be notified days after being mentioned. What’s more, their user interface doesn’t really compare to other more sophisticated tools out there. Kantar does not offer any free trial, but you can, however, ask for a demo of the tool. The next set of tools will help you to create powerful and evergreen content to get the attention of the people you reach out to. If you believe you receive too many emails to get things done during the day, think about journalists and influencers for a second. Most of them receive hundreds of pitches every single day. You need your content to stand out in their inbox. Otherwise, you don’t stand a chance. Relax. We’ve all been there. I identified 3 tools designed to help you share your ideas in a powerful, yet simpler manner. As a content marketer, when I’m not promoting content, I’m spending my time creating it. Believe it or not, I sometimes spend more time thinking of a catchy title than actually working on a piece. And to tell you the truth, I’m still unsure about the title of this blog post as I’m typing these lines. This is why I like and recommend CoSchedule’s headline analyzer. In a matter of seconds, the tool analyzes your title suggestion and gives you tips to improve it. Before you start playing around with the tool, I also recommend that you look into these 52 headline hacks(from Jon Morrow). You can start using Coschedule’s headline analyzer for free. Having a great title is only the first step. You also need a killer copy. For that, you need to look into using Hemingway. As a non-native English speaker myself, I sometimes lack vocabulary or can’t come up with sleek ways to convey a simple idea. When writing a press release, chances are you may use too many adverbs, passive voice sentences, and/or are writing over complicated sentences (just like this one). Hemingway flagged this sentence as very hard to read. Adverbs and passive voice sentences make it harder to read something. Hemingway helps you to keep your press releases short and simple. Always go for short and simple. Also, Hemingway flags the words to cut out from your pitch. And the best part of it is that Hemingway is completely free. Finally, once your story is out, you have to promote it! In the digital age, videos are the best way to get someone’s attention on the web. Well, I tested(and approved) a very cool tool for you: PlayPlay. Everybody is talking about video marketing. There’s a very good reason for that: it works! Now, this is easier said than done. Creating quality video content requires a specific set of skills, resources, and costly equipment you may not have right now. Actually, you may not need them after all. I discovered PlayPlay a couple of weeks ago. It is a very simple, yet powerful tool you should try right now. Here’s a video I created using the tool in about 10 minutes. You can try PlayPlay for free right here. I know a lot of businesses don’t have the luxury to hire a design team to support marketing and communication activities. If this is you, take a look at the next section which is all about design tools. I will get right to the point. You don’t need to master photoshop or illustrator to create beautiful invitations and press release templates. For that, there is Canva. Canva is a very simple online design tool you can use to create beautiful things, without any particular design skills. According to their website, Canva offers more than 65,000 editable templates. Long story short: if you’re looking for a specific template, chances are you’ll find it on Canva. You can create a free account and start using Canva right now. Just in case, here are 3 websites you should add to your bookmarks to include powerful pictures in your stories. Unsplash and Pexels are two of the best free stock photo banks on the Internet. You will find them to be extra useful to bring your words to life. Now, it goes without saying that you get what you pay for. Free stock images are great, but if you want the very best, I recommend you take a look at Shutterstock. Shutterstock is a premium stock image bank. You can use it to download images, videos, vectors, illustrations or even music. It is quite an expensive service, but it’s worth trying if you want your content to look perfect. At this point, you have everything you need to create relevant content. Let’s look at 4 key tools to try when distributing your PR content to the relevant people. Creating great content can be very time-consuming. Promoting it? Even more. In fact, Derek Halpern, Founder and CEO of Social Triggers recommends following the “20/80 Strategy” to make the best out of your content. Spend 20% of your time creating content, then spend the remaining 80% reaching out, promoting it. Now, an effective content promotion strategy is a targeted strategy. And I identified the right tools to do it. Mynewsdesk doesn’t only cover PR distribution. This is the ideal tool to cover your entire digital PR workflow. Monitoring: with MND (Mynewsdesk), you get to know what’s said about your brand both and traditional and social media. You can ask for a free trial of Mynewsdesk right here. Another interesting platform for influencer outreach is Buzzstream. BuzzStream is an influencer outreach management platform. BuzzStream comes with prospect lists, lets you add contacts, and finds their contact information and metrics if/when the information is public. This is a very useful tool that makes influencer outreach quick and easy. Also, it integrates with BuzzSumo. You can try it free for 14 days. To finish this PR toolbox list, I’d like to introduce you to 2 very much-needed tools. As a PR professional, you’re constantly reaching out to relevant journalists, partners, and influencers to generate a positive buzz around your brand. However, not everyone wants to share their contact information publicly, nor with outreach platforms, making it difficult to get in touch with them. Do you really want to be spending your time figuring this out? This is something Hunter.io may help you with. The tool analyzes brands and domain names, and figures out the most common email construction pattern they use. This is me trying to find how Adidas’ email addresses are structured. It helps you figure out easily if you’ve got the right email address. Hallelujah. Once again, you can try it for free. Mailtrack.io is a free Gmail extension that tells you if your emails were sent received and read by the recipients. It may look like just a ‘nice to have’ tool, but it can come in handy to manage the pressure you put on journalists and influencers you try to reach out to. 1. You send an email to a journalist. They receive it but the do not read it. Knowing this, you can send another email with a stronger subject line(without sounding too pushy since they missed the first one). 2. You send an email to a journalist. They receive it and read it, but they do not answer nor publish the story after a few days. As disappointing as it is, this can happen often, and for countless reasons. Either your story was not catchy enough, the person was not the right contact, or maybe they already had too much on their plate. When this happens, don’t irritate them by sending the same content over and over again. Just try again when you have something new to share that may be of interest to them. And there you have it – that’s my list of 18 tools PR Pros should consider to improve their performance. You may have wonderful things to say about your brand, but if you have no means to control your message or evaluate and understand its impact once it’s out there, you may as well send out press releases blindly and hope for the best. From organizing your workload to analyzing your results, this list of tools will boost your PR performance. Have you ever tried some of these tools? What is your take on them? Do you have any specific advice you would like to share with other PR professionals? Do it right there in the comment section! Clément is Content Marketer for Mention. He creates content to help brands manage their online reputation strategy. If not behind a screen, you can find him reading books in Parisian cafés or exploring the city with his dog.